Gold As An Asset Protection Instrument: It's Elemental! If you're most interested in a long-term financial plan that will protect and preserve your assets, then physically owning gold may be a high-value investment that also carries low relative risk. Gold's intrinsic value means that it has a viable place in both short and long-term investment strategies. On a short-term basis, it may be important to closely watch the value of precious metals like gold, silver and platinum as they increase in value or occasionally dip in the market. For someone with a long-term financial plan, however, minor dips and gains may matter less. For a truly elemental asset protection instrument, discover the potential that gold has in store. The objective of most long-term investment strategies is to protect finances against an uncertain future. We may not know what the world, the government or the economy has in store, but we can take steps to mitigate risk along the way. One reason that gold is such a popular and savvy investment choice is because it can serve as a hedge against the risk of hyperinflation. Almost every year, the purchasing power of the dollar goes down. Although from year to year this change may not be noticeable to the average shopper, the reality is that your account balance actually erodes unless it can stay well ahead of inflation. Investing in gold means that you aren't victim to the whims and variances of a single currency type. Gold is valuable worldwide, and it isn't inherently tied to any culture, any market, any country or any one type of currency. One of the unwritten rules of financial strategy is to hold anywhere from 10 to 20 percent of your net worth in hard assets, such as gold. Although simply investing in gold shares or mining companies can be a good move, hard assets mean the physical ownership or precious metals. While you could store the gold bars or coins on your own, it makes better sense to have them stored in a secure location. That way, you get the incredible security and peace of mind that comes from retaining hard assets, but you don't have to carry the risk of storing such valuable items for the long term. The golden rule about gold investment might be to take a long-term view regarding the precious metal. Investing in gold can boost your purchasing power years or even decades from now, it can help you provide for your loved ones in the future, it can protect against the risk of currency crashes and it can be the instrument you need most in a rough economy. Step back from tracking the rise and fall of gold prices on a daily or weekly basis, and instead focus on the long-term golden rule of inherent value for years to come. Just because you are taking a long-term view when it comes to gold, it doesn't mean you can't maximize financial benefits in a number of important ways. It absolutely makes sense to buy gold when the price is low, allowing you to purchase more without paying more. It may also make sense to try out the Gold Loan Program from Georgetown Trust, a program that allows you to leverage your gold's value for other investments without giving up your precious metals. Investing in gold can definitely have a place in nearly every financial portfolio. 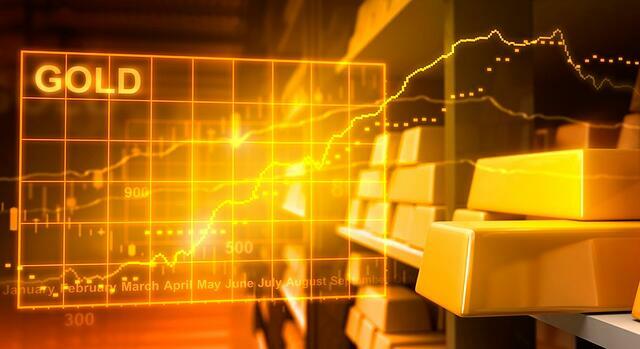 If you want to make gold part of your long-term strategy, owning hard assets could be the key to asset protection today, tomorrow and decades from now.